Although southeast Omaha surrounds most of Ralston, it is considered a separate city in Douglas County. Ralston began growing in size around the 1950s and 60s, which is likely why nearly half of Ralston is 45 or older. Still, the town continues to grow and with new growth comes new families. Ralston schools have been growing by the hundreds in recent years. Ralston is set between Harrison and L Streets, and 72nd to 90th Streets. The south end of the city is adjacent to La Vista. Most neighborhoods, restaurants, shopping areas and business complexes branch off of 72nd or 84th streets. Ralston is considered a quiet and safe area to live or work. Visitors and residents shouldn’t feel uncomfortable navigating the town alone day or night. It is not uncommon for children to walk home from school. Visit our page dedicated to Ralston Public Schools. 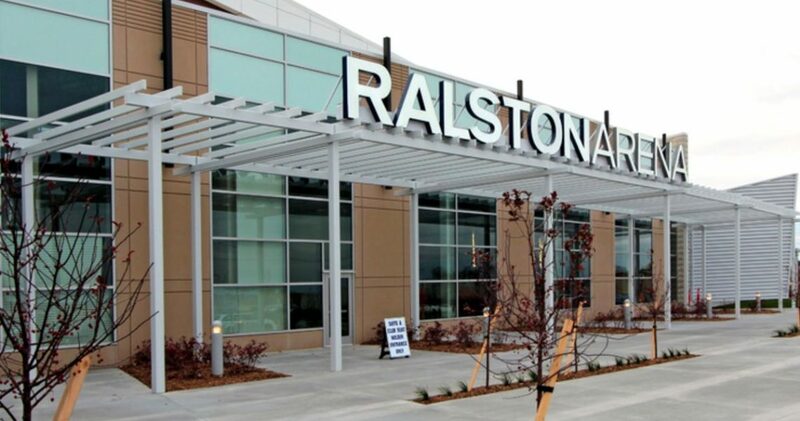 Owned by the City of Ralston, the Ralston Arena is a state of the art facility located near 72nd and Q Streets. The venue opened in October 2012 and hosts a variety of mainstream entertainment from classic rock bands to new-age rap, country and more. The Omaha Lancers (USHL), Omaha Beef (CPIFL), Omaha Rollergirls, and Omaha Heart (LFL) play at the Ralston Area home. Several community events, fairs and tradeshows are also held here. Fun Plex opened in the 70s with go-karts, mini-golf and pinball but quickly grew into a larger park filled with bumper cars and other rides. Fun-Plex is now the largest ride and water park in Nebraska and continues to be a popular spot for parties and special events. Newer attractions include: The Lazzzy River, Chaos, Rock-O-Ride, Tilt-A-Whirl, The Big Ohhhhhh!!! Roller Coaster, Makana Splash. Horsemen’s Park opened in 1998 after the closing of the Aksarben Race Track in ‘96. Horseman’s Park has been recognized as one of the finest simulcast facilities in the country. The Mayor of Ralston is Donald A. Groesser. Mayor Groesser is a founding member of the Ralston Community Foundation Fund and the Ralston Sports Committee. He serves on the Nebraska Economic Development Commission and the National Information Technologies and Communication Committee.